William Dale Durst, 66, of Grantsville, MD, passed away on Saturday, March 23, 2019, at WMHS Regional Medical Center, Cumberland, MD. Born January 20, 1953, in Allegany Co., MD, he was the son of the late Paul and Lois (Jenkins) Durst. He was also preceded in death by one brother, Ronald Durst. 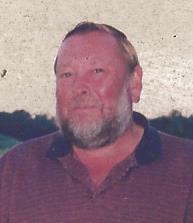 William was a self-employed farmer, who, in his spare time loved to golf. He was a member of Post 214, American Legion, Grantsville and Walker-Harris Post 8826, V.F.W., Salisbury, PA. He is survived by his wife, Terri Paul; one daughter, Kelly Durst, Grantsville; one step-son, Michael Bittinger, Bruceton Mills, WV and one step-daughter, Tina Bittinger, Grantsville. At William’s request he will be cremated and a memorial service will be held Saturday, April 6, 2019, at 3:00 p.m. at the Walker-Harris Post 8826, V.F.W., Salisbury. Newman Funeral Homes, P.A., 179 Miller St., Grantsville, MD, is in charge of his cremation arrangements.